Welcome to Eating on a Budget, where you will find delicious recipes for hearty meals as well as ways to feed your family for a lot less. I also hope to share our own success along the way as my husband and I work hard to cut expenses, pay off debt and start making our hard earned money work for us. I hope that by sharing what is working for us on this blog it can help others as well. 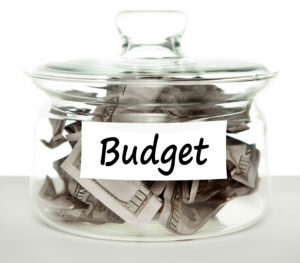 Eating on a Budget was actually created back in 2005 with a simple plan to share budget friendly recipes. The site was active for quite a while, then I decided to revamp it and turn it into a blog. Unfortunately, it got put on the back burner since I wasn’t exactly following my own advice. Our family was spending way too much on groceries and eating out way too much. It wasn’t until recently that my husband and I realized that we were slowly sinking in debt and things had to change. My husband and I recently started reading Total Money Makeover by Dave Ramsey and it has been a real wake up call! His motto is If you are willing to live like no one else, later you can live like no one else. Finally, after years of feeling like we would never get ahead we see a huge light at the end of the tunnel! We are at the very beginning of this adventure and I plan to blog about it on a regular basis to keep you updated on our progress. And of course, it just makes sense that we had to really sit down and figure out where we were spending too much money. We are homebodies. We have only been on two vacations in the last ten years and rarely spend for entertainment. Our home is modest, and we rarely spend money on ourselves. We do have one child and of course, kids always need things, but we still didn’t feel like our spending was out of control. Why then, were we sinking so far into debt? The truth is, we were spending way too much on groceries and eating out. And by not sticking to a strict food budget it started affecting the rest of our budget. Before you know it there are way too many credit cards not to mention a mortgage and a car payment and it seems that every paycheck goes to just paying other people (with interest of course). Without having a game plan for emergencies like car or home repairs we would have no choice but to use credit cards. When we started this money makeover we knew that one our biggest monthly expenses, which is groceries and eating out, could be cut in half. In fact, it could probably be cut even more. I would estimate that we were spending at least $800 a month on food and now my goal is to get it to under $300. I know that the first thing that comes to mind to those who want to save money on groceries is to start clipping coupons but to be honest, I rarely use them. I actually find that by planning my meals around sales and not being loyal to just one store I can do just fine without them. I am not against coupons and I do use them from time to time. However, I found that I was often buying things that I wouldn’t normally buy just because I had a coupon. I even tried extreme couponing for a short time and that just stressed me out and it felt like a full time job! I also found it a bit daunting trying to shuffle through my huge stack of coupons while shopping. I tried the envelope method, the binder method, you name it. I just couldn’t find a method that worked for me. If you are looking for a blog that teaches the basics of extreme couponing then this one isn’t for you. At first I felt that maybe I should cover it because after all, this is all about eating on a budget. However, there are a lot of websites out there that cover extreme coupons. I want this blog to be about what works for me and my family. I also wanted to share some of my favorite recipes and menu ideas to show that you can eat delicious and hearty meals without breaking the bank. You will find coupons on this site though. I do believe that coupons are a great tool to save money when used correctly. 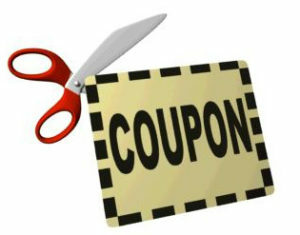 Pairing coupons with a sale item is a great way to save money. But using coupons just because you have them, for items you don’t normally buy is a waste of money. In a perfect world we would all have access to healthy, organic food and not have to concern ourselves with terms like “GMO” and the genetically modified food controversies. Are whole foods better than prepackaged foods? Of course. And I do believe that it is important to center your diet around plenty of wholesome foods such as fresh fruits and vegetables. But lets face it. if you are in a financial bind you may not be able to buy organic foods all the time. I tried it it once and our food budget skyrocketed even higher. I also found that by refusing to eat anything that wasn’t organic made it hard to enjoy life and those meaningful things like special events and potluck dinners with extended family. If eating a specific diet is important to you, or if you must follow a specific diet do to health issues or allergies then you can still make this site work for you. You may need to adjust your grocery budget but you can make cut backs in other areas if needed. You can also use the same principles to save money such as buying in bulk and shopping around sales. Even discount grocery chains like Aldi’s offers a wide variety of specialty foods such as organics, vegan, gluten free and more. I will also try and include all kinds of recipes here. Some may be made with convenience foods and canned soups while other recipes will be cleaner, consisting of fresh ingredients. The way I see it is you do what you can. My family doesn’t eat perfect but we try to eat healthy most of the time. We also have an organic garden in the summer and enjoy a huge bounty of fresh produce. I also feel that once we complete our money makeover we will have extra money in our grocery budget to make even better choices. I will still shop smart and look for deals but I will have more leeway in regards to what I want to feed my family. If you have room for a garden then I highly suggest it. And if space is limited you might even consider growing a few vegetables in pots. On of my favorites is home grown tomatoes, which don’t even compare to those found in the grocery store. 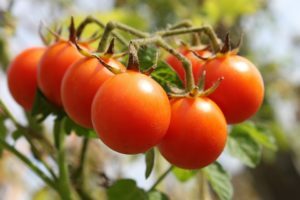 We grow several varieties, with one of my favorites being cherry tomatoes. They are delicious in so many recipes but my favorite way is to eat them is in pasta salad or just plain. In the summer I always keep a bowl of cherry tomatoes on the counter and we tend to eat them like candy! I don’t know how to can foods but that’s on my list of things to learn. I do blanch and freeze vegetables that we have an abundance of though. Another way I always save is by purchasing the bulk size packages of meat and poultry and then separating them into smaller packages and freezing. We have a large chest freezer but if storage is limited for you then at least try and buy items that you use a lot in bulk. Putting foods like chicken in freezer bags then laying them flat in the freezer means you can easily stack them on top of each other and save room. Another idea is to buy in bulk and split the cost with a friend or family member. This is especially helpful for fresh produce since not only will you save on storage, you will also have the opportunity to use it up while before it goes bad. Many of the recipes here will be higher in calories but I don’t worry about that. It’s all about balance. If you know that you are going to be eating a higher calorie dinner then cut back at lunch and refrain from snacking the rest of the night. And of course, eat fresh whenever possible. Fresh fruits and vegetables that are in season are usually fairly cheap. And generally, fruits and non starchy vegetables are low in calories while high in nutrients. If you are close to a local farmer’s markets then even better! Of course, if you or anyone in your family has special dietary needs then that does need to be taken into consideration. Luckily, many of these recipes can be modified and some will fit into specific diet plans as is. For example, we try to include meatless meals a few times a week which are great for vegetarians, and some will be vegan as well. 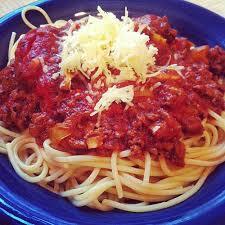 We are a family of three but I do tend to make big meals, so the recipes here will most likely feed more. I often cook enough with leftovers in mind for lunch or dinner the next day, or perhaps cook an extra large portion of something to make something different the next day. For example, day old rice makes the best fried rice! 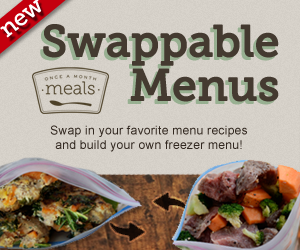 Many leftovers can be frozen for future meals as well. This is just a peak into what you will find here on Eating on a Budget. I look forward to not only sharing my favorite recipes and tips for saving money on groceries, I also plan to share where we are at with our money makeover as we slowly crawl out of debt and start living a life of abundance that we all deserve!